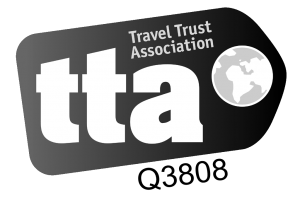 We always talk about the number of things to consider when travelling to Africa as a photographer, and it’s a subject that has so much depth that it will no doubt fill blogs for years to come, thankfully, we find it both interesting and useful! In this blog we are going to touch on just some of the best camps to visit as a keen photographer and why these are so great in our view. These are camps that have the best facilities for those intent on getting the best images, in a future blog we will discuss camps with resident professionals and private photographic guides. 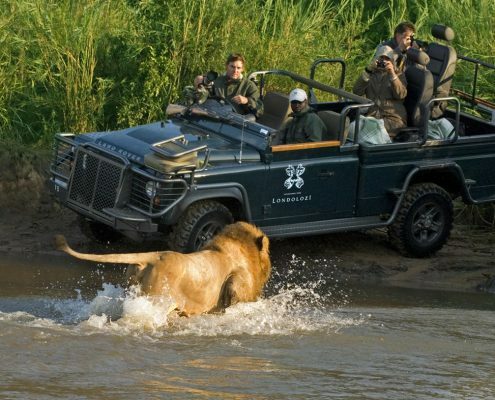 One of the best authentic and remote safari camps for photographers in the whole of Africa, in our opinion. 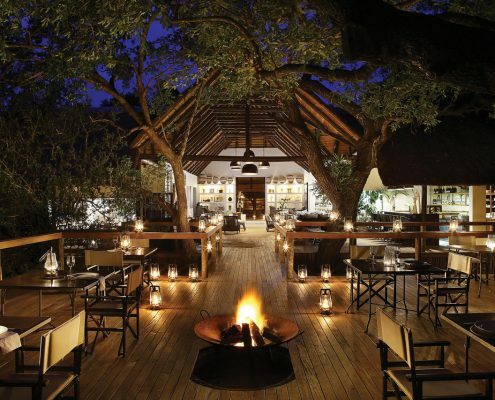 This great little property is tucked away in a private part of the Tuli Reserve in the South East part of Botswana. Mashatu offers something for every photographer from keen amateurs to professionals and does so at exceptional value compared to some of the options out there in Africa today. If you want somewhere that is geared up for photography, is simple yet charming and will really connect you to Africa then this is our top pick! There are two fantastic hides which can be used at a nominal extra cost, which includes being accompanied by wildlife photographic guides. There is also a specific photographic vehicle and in camp tuition on offer. 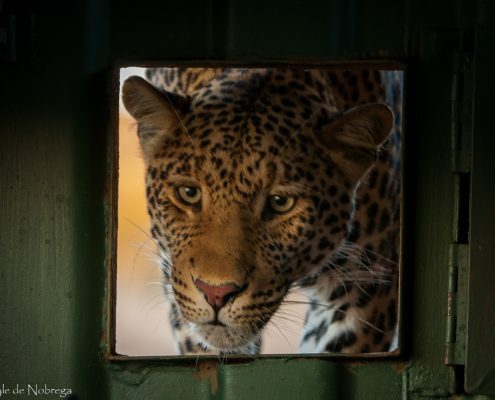 There is the opportunity to rent camera equipment from the camp, which must be requested prior to arrival to avoid disappointment, this is a great way to save having to bring your own kit or to try out wildlife specific photography lenses if you do not have your own. There is something very special about sitting in a hide while a herd of Elephant go about their business almost within touching distance, not only does this offer incredible opportunities for photography it is also a very emotive experience. This camp should be on everyone’s bucket list for so many reasons! 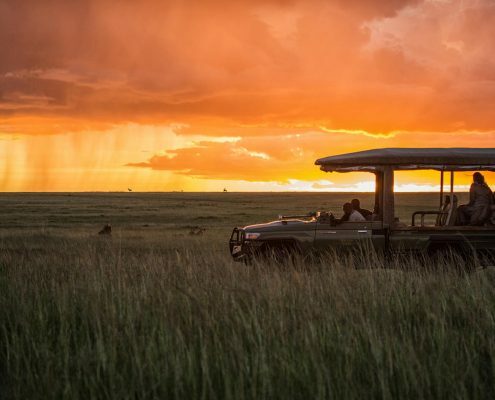 This is a small and incredibly luxurious property run by Great Plains Conservation, one of the best safari operators in Africa. Great Plains was started by Dereck and Beverly Joubert, two of the most iconic film makers turned conservationists of a generation. 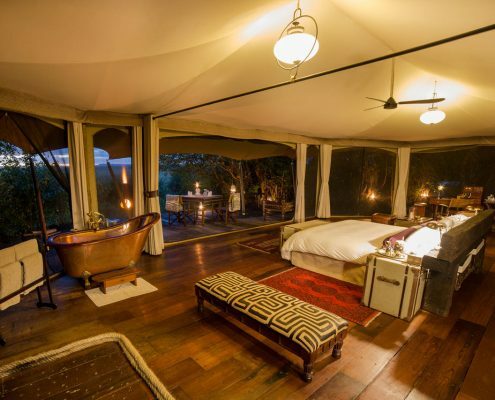 The first thing that makes this so great for photographers is the location within the Masai Mara eco system. The Masai Mara is home to the highest densities of big cats in Africa, that is not to say that anywhere you stay you will have the same experience, in fact, in some locations the traffic and camp numbers can create quite a negative impression, this is why Mara Plains is so good, it is in a great area for wildlife but also in a private concession which limits visitor and vehicle numbers therefore making a more exclusive and positive experience when at wildlife sightings. The second thing that is so great for photographers is that with each “tent” there is a Cannon Pro set-up with (currently) a 7D, 100-400mm lens and 24-170mm lens! This means that you have fantastic kit for wildlife photography without having to invest heavily yourself in equipment, especially if you do not own a long zoom, and you also have one less thing to worry about when sticking to weight limits on light aircraft flights. Not only this but each guest is provided with Swarovski binoculars. 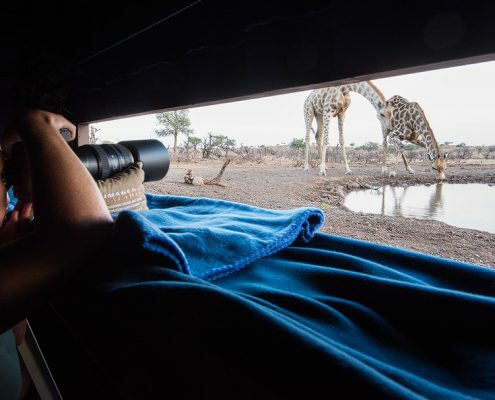 If you are looking for a camp with excellent facilities for photographers in South Africa then look no further than Londolozi in the Greater Kruger. 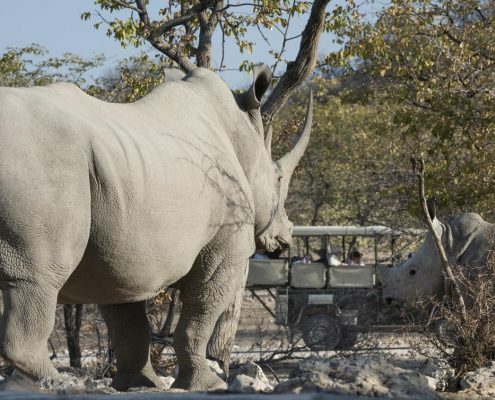 This is by far the best area for game viewing in the country and the Londolozi lodges have a great position within their own private concession that is renowned for big cat sightings as well as great general wildlife. Photographic Studio – A fully equipped studio that you can book to use daily from 1000-1600, perfect for those that would rather be editing and sorting images than having a siesta. There are state of the art IMac computers all with Lightroom CC and printing is possible on wide format canvasses. 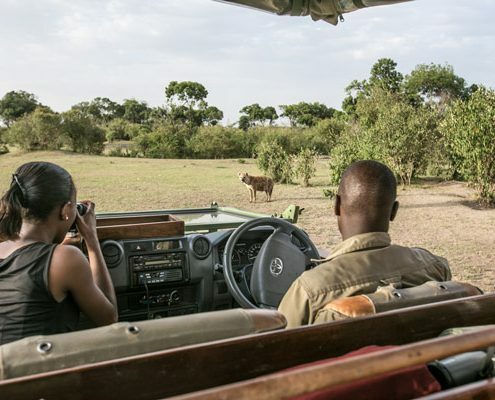 Photographic Vehicle – Converted safari vehicle specially prepared for photographers, this is available for private use which includes a highly experienced photographic guide and ranger as well as access to the studio and two small canvasses. Equipment Rental – There is a range of camera equipment that can rented by the day, from mid range to top of the line camera bodies and lenses, along with all the necessary accessories. Ongava Lodge is located in the Ongava Reserve, a vast private area of land bordering the world famous Etosha National Park. 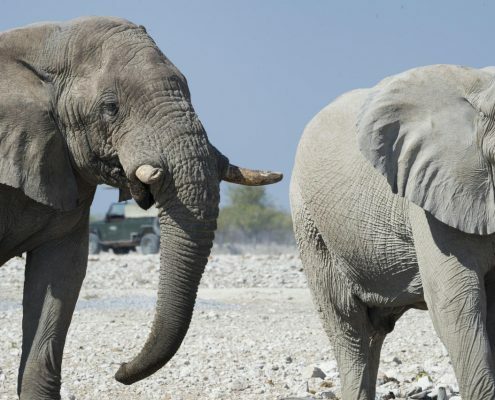 This is an area of great importance for conservation in Namibia and is home to a fantastic hide. 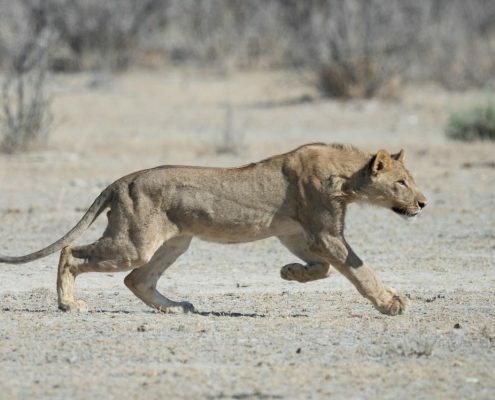 Most of our Namibia itineraries are on a self drive basis but here it is possible to go on guided activities both in the reserve and inside the national park in open sided vehicles with professional guides, along with the hide, this opens up more photographic opportunities and a higher chance of great wildlife sightings. We love to combine one of the properties in this private area with the more basic Okaukuejo which is home to one of the most productive watering holes inside the National Park. 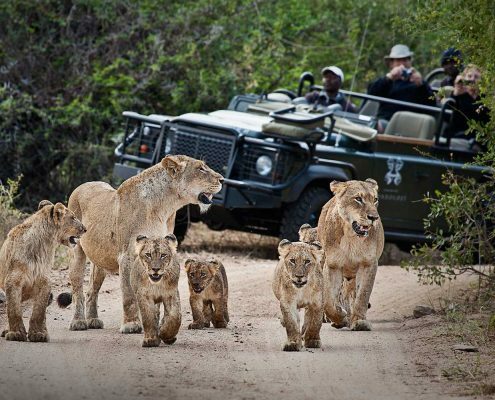 To talk about your perfect tailor made photographic safari call us today on 01747 445060 or send us an email.